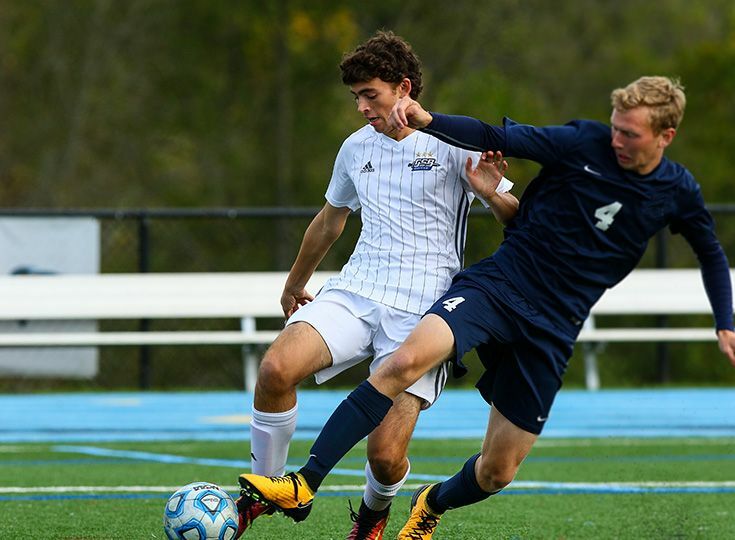 Nine saves from senior goalie Alex Roch held second-seeded Princeton Day School scoreless yesterday as the Knights posted a 4-0 win in the semifinal round of the boys' soccer Prep B Championship. Junior Andrew Moglianesi led the offensive charge with a hat trick. Freshman Jordan Canica contributed a goal and an assist; additional assists came from senior Andrew Amaro and junior Tyler Merna. On Wednesday, November 1, the Knights will face the winner of a matchup between top-seeded Montclair Kimberley and fourth-seeded Newark Academy. Stay tuned for details.